"NOFX does not condone violence against ANY group of people, period!" After hinting at the release of a longer apology for their insensitive jokes about the Las Vegas massacre while performing in the city, NOFX have shared a much more detailed statement. "There's no place here to backpedal. 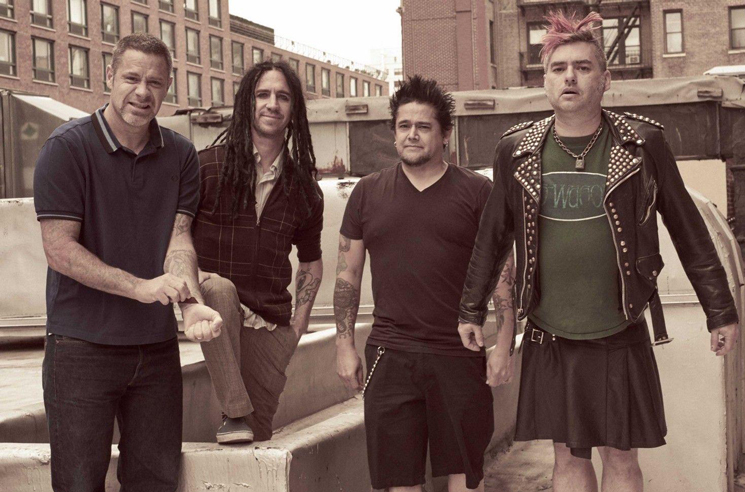 What NOFX said in Vegas was shameful," the statement reads. "We crossed the line of civility. We can't write songs about how people in this world need to be more decent, when we were clearly being indecent. Las Vegas has always been a welcoming city to our band, and to make light of the tragedy that occurred there was egregious." The band also explained their decision to not issue an immediate apology, writing that they "didn't feel that we could write a sincere apology without reflecting on the actual damage we had done. No press agent was gonna write this for us. That's why we have struggled with this for the past few days." The group concluded, "We didn't plan or intend on saying anything so insensitive. It was off the cuff, but just as hurtful. We won't blame it on drugs or alcohol or Ambien. That's too easy. NOFX said it, and we own it. We made a tasteless joke. But to be clear, NOFX does not condone violence against ANY group of people, period!" Read the band's complete apology below.